The RJ Sports Typhoon mini-stand bag is for the golfer wanting a streamlined bag without sacrificing storage. The Typhoon features a 5-way 6” top with full length dividers, dual harness straps, 5 easy access pockets, glove/towel attachment and a rainhood. 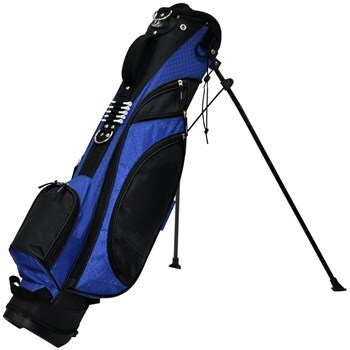 This bag is super light and perfect to walk a quick nine holes after work. L S. bag arrived on time and in good condition. Seamless transaction. Can you provide the total dimension of this bag. Top to bottom, diameter around grip handle largest diameter of bag,etc. Very slow shipping. Does not ship within 3-4 business but much longer. Very Disappointed.